Hi, this is George from Tulsa here to ask how much computer do you need? Or, phrased differently, how much will the computer you need cost? In terms of cost, it can be surprisingly little. All my work and personal computing needs are within the capabilities of my seriously obsolete 2007 MacBook Pro. Then, I gave up editing RAW photos and the Quad Core i7 MacBook Pro I bought to do that, and I don’t edit video. In 2015 I began setting up Linux on Intel NUC systems for work, home, and to distribute to charities. They’re great for general use computing. With Ubuntu and Linux Mint Long Term Support, they’re kind of set and forget for years as they receive regular security updates. All that good aside, I did have a problem to be solved. Even without massive clot-like Windows 10 updates, or MacOS Annuals with interim version iterations, I needed a Linux computer to test updates and new software without risking the stability of our computers in daily use. And I didn’t want to spend a lot of money. Those criteria led me to Intel’s 2018 Gemini Lake NUC running a new Quad Core “Pentium Silver” CPU. The barebones NUC is $169.60. Outfitted with 8GB of RAM and a 120GB Kingston SSD, the entire system cost $297. Linux OS and productivity software are free. Yep, this is a really inexpensive system, but don’t discount its capability. The 10 watt CPU runs at 1.5GHz but can boost to 2.8. Intel’s UHD 605 graphics simultaneously supports two 4K monitors through dual HDMI 2.0a ports. There’s four USB A format USB 3 ports and a full-size SD slot. Additionally, there’s Gigabit Ethernet and Gigabit WiFi, a dual microphone array, headphone jack, microphone jack, optical stereo out, and even an infrared receiver. One review said it outperforms previous NUCs with i3 processors. In my own brief experience, I’ve been using it side by side with a 2015 i7 NUC with 16GB of RAM that boots from a Samsung PCIe SSD. I’ve not noticed the newer and much less expensive system lagging. There are many places at work and home for an inexpensive yet capable system. Because it draws just 8.8 watts at idle, right down there with a nightlight, one example would be to use it as 24/7 Plex Media Server. As to running Linux, I’ve installed both Kubuntu 18.04 LTS and the Solus rolling release that’s continuously updated with the latest patches and software. To make changing distros and software easier, I replaced Intel’s too-short SATA connector with an extension I left dangling outside the NUC case to make changing SSDs and thus Linux distros really convenient. With 120 GB SSDS at just $40, why not? I’m linking two reviews in Allison’s shownotes that, combined, go into more detail that I can here. The reviewers spend time talking about Windows gaming as that seems a kind of baseline for what’s acceptable. In no way is this NUC a Gaming System, but it runs Windows games if expectations and frame rates are reasonable. 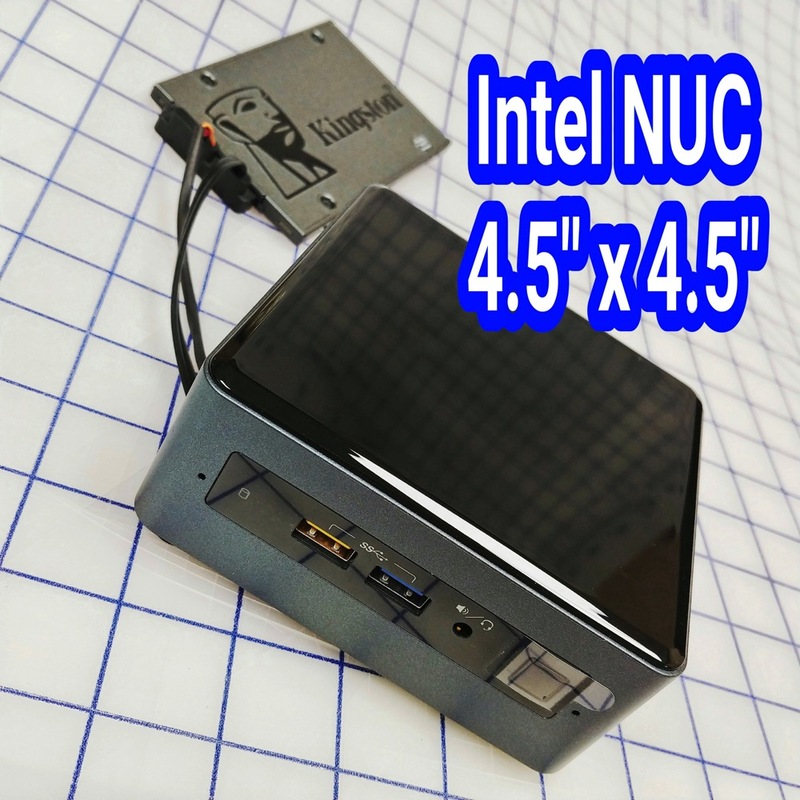 Intel NUC7 Pentium Mini PC Kit (BOXNUC7PJYH1) This link should take you to what I bought. But be careful, there are older versions with much less desirable Apollo Lake chips, and a less capable 2018 with Celeron. The system does best with matched pairs of SODIMMs. The Apple Heart Study – Is It Right for You?